Beautiful just what we was looking for . 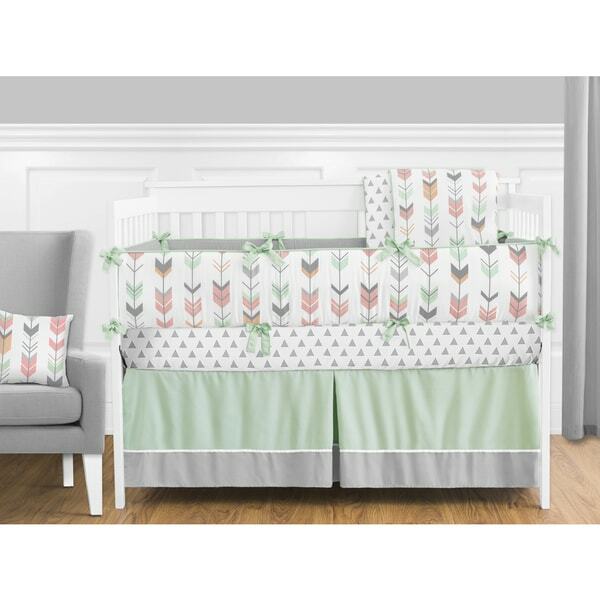 This set combines a multicolored arrow print, a coordinating triangle print, and solid mint and grey fabrics. This collection uses the stylish colors of mint, grey, coral and white.